When Libya is mentioned, several connotations come to mind: the green flag, the eccentric Colonel Gaddafi, the vast desert, and probably oil. Since Libya’s revolution, we can add to this imagined picture of Libya those half-ton trucks that carry heavy gunners. However, there is much more to Libya than this. It would likely surprise many to learn that Christianity is much indebted to Libya and, moreover, that today it seems as though Libya is developing the potential to recognize this. 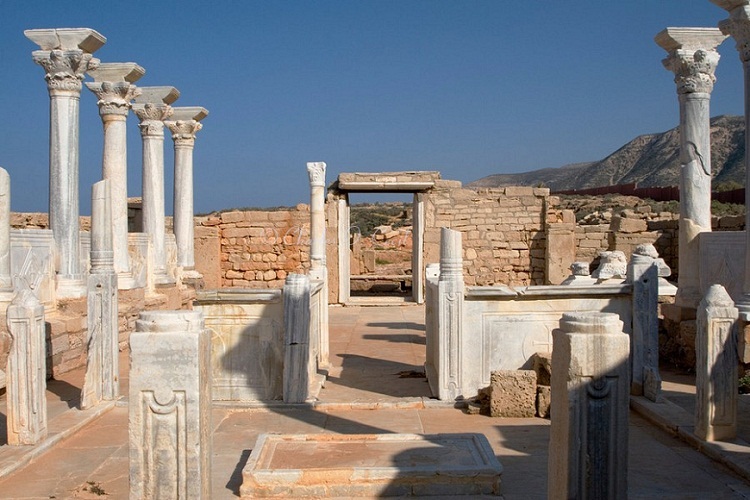 It is interesting to note that modern day Libya, and possibly Tunisia, contains what was known as Pentapolis, or the five cities. This was a vast Roman colony with a great number of Jews and later Christians. The Alexandrian tradition, as well as other fragmentary traditions from Rome and Antioch, holds that the Apostle Mark was from Cyrene, one of these cities. Taking into consideration various scholarly arguments, I am inclined to accept this tradition. If true, all of Christendom would then owe Libya its oldest Gospel, upon which the other synoptic Gospels (in addition to several other early writings) depended heavily in writing the life of Jesus. John Mark, who is reported by Acts and several Pauline epistles to have been Paul’s fellow (and later Peter’s according to Papias, writing around 130), was also the founder of the great See of Alexandria. Interestingly, we also know from the Gospels that Simon, who bore the cross for Jesus, was from Cyrene, today’s Benghazi. Furthermore, Libyan soil has been baptized by the blood of great Christian saints, such as St. Theodore, Bishop of Pentapolis, and his friends Irenaeus, Serapion, and Ammonius in the third century. Pentapolis came under the care of the Church of Alexandria. It is also interesting to note that one of our contemporary saints was a bishop of this Libyan area: St. Nectarius of Aegina (1846–1920), who was briefly the Metropolitan of Pentapolis, based in Cairo. In the light of such facts, it can be posited that Libya’s history is inextricably linked with Christianity. But what about Libya today? Despite this rich Christian legacy, Libya, like other North African countries (with Egypt as the exception) has lost connection with its Christian heritage. Part of the problem – as an old friend of mine who used to live in Tripoli explained to me – is that Libyans have always associated Christianity with colonialists, especially Mussolini’s fascist Italy, which enforced Roman Catholicism in Libya. In addition, Libya has a strict affiliation with Islam, which is associated with its tribal identity. In tribal societies, one must remain faithful to whatever religious faith one’s clan follows. Therefore, it is quite fine to be Christian so long as you are not Libyan. Libya had great cathedrals in the early forties and fifties in cities such as Benghazi (Cyrene) and Tripoli. However, Gaddafi and his coup against King Idris of Libya in the late sixties brought this Christian presence to a halt. These cathedrals were converted into mosques, although some cemeteries for European soldiers who died during World War II survived. The fall of Gaddafi’s reign has brought the question of Christianity’s future in Libya back to the table. According to the political agenda of the National Transitional Council (NTC), it seems that Libya is not intending to adopt a radicalized form of Islam. The government recently issued a new rule for political parties prohibiting the establishment of religion-based parties. While the vicious attacks on Christian cemeteries by several armed groups affiliated with al-Qaeda created a negative impression about the future of Libya’s religious freedom, the strong reaction of the NTC, which included an explicit condemnation of this act and a decision to restore the cemeteries, shows how tolerant the political will in Libya can be. In Libya there are thousands of Orthodox Christians from Coptic, Russian, and Bulgarian backgrounds that are free to work and worship. Roman Catholics and Anglicans are also active in Libya, serving the ever-increasing number of western workers flowing into Libya for reconstruction and energy projects. There is also an underground church that includes Libyan converts made up of Amazighi and African groups that were marginalized and even persecuted in Gaddafi’s time. The Vatican was among the first states to recognize the NTC, expressing its support of the rebuilding of Libya. Furthermore, the Libyan government knows very well that its old western foes are today its friends helping it to rule Libya. Taking all this into consideration, it appears that there is potential for a positive relationship between Libya and non-Islamic religious bodies, including Christianity.